Every chef worth his or her salt earns the tall hat not by memorizing a gazillion recipes, but by mastering the foundations of cuisine. Before you can whip out the world’s next trend-setting recipe, impressing family, friends, and the like, you have to learn the basics of cooking. From perfectly seared meats to wow-worthy knife skills to global aromatic groupings, laying the groundwork for top notch cuisine is a must. 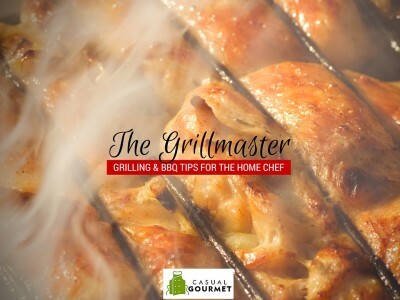 Stand head and shoulders above your own culinary prowess with a mastery of sauces. For centuries, the French have believed that there are only five true sauces. Every other sauce is simply a derivation of one of these five. Called the “Mother Sauces,” each can be mastered and explored. Read on to learn about the five Mother Sauces and their sauce families. One of the oldest sauces of French cuisine is also one of the simplest. But don’t let the brevity of ingredients and directions fool you. Regular tending is key to a beautiful béchamel. To begin, melt a quantity of butter in a sauté pan over a gentle heat. Then stir in an equal amount of flour to make a roux. Continue to cook over gentle heat while stirring with a whisk. Be careful not to brown the roux, as “béchamel” translates to “white.” Finally whisk in heated milk and continue to whisk and cook over gentle heat while the sauce thickens. The amount of milk used determines the thickness of the sauce. 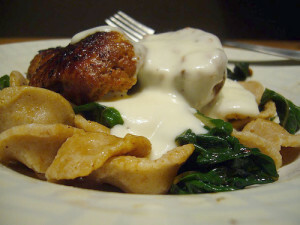 If one tablespoon of roux is used per 1 cup of milk, the sauce will be thin and easily pourable. If three tablespoons of roux are used per 1 cup of milk, the sauce will be extra thick, just right for a soufflé. Like the béchamel, velouté starts with a roux of equal parts butter and flour. 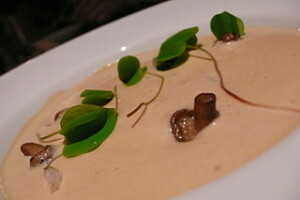 Instead of milk like the béchamel, velouté adds in a “light” stock. As with the béchamel, the amount of stock added to the roux determines its thickness. A “light” stock refers to one in which the bones have not previously been roasted. It is typically made with fish or poultry bones. Auguste Escoffier, early codifier of the Five Mother Sauce theory, drew from Spain for this next sauce. With the two cultures colliding in the Renaissance era, a love for this strong-flavored brown sauce spread across Western Europe. 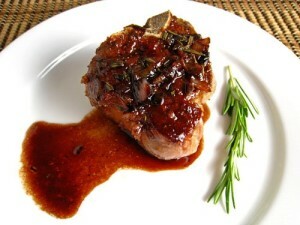 Today the espagnole sauce is most often used as a starting point for demi-glace. Espangole sauce starts with a classic mirepoix (2 parts chopped onion to 1 part each chopped celery and carrot). This is simmered in clarified butter until soft and light brown, then a dark stock and pureed tomatoes are added. The sauce is stirred and skimmed while it reduces. This savory sauce often accompanies rich meats, flat pastas, and doughy breads. 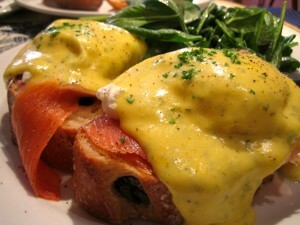 Another cultural nod from the French, hollandaise was first served in France as homage to a visiting Dutch ruler. A hollandaise emulsifies egg yolk and melted butter, and then seasons with lemon juice, salt, and cayenne or white pepper. Its rich, buttery flavor is set off by a hint of citric tang, making it an excellent complement to many mildly flavored foods. Today it is most often seen atop Eggs Benedict or steamed asparagus. While many chefs espouse different methods to create the ultimate hollandaise, they each require constant agitation with a whisk and careful tending to ensure the sauce doesn’t overcook. One of the most foolproof of the five mother sauces is tomate sauce. Tomate sauce requires a long simmer time, but not nearly as much fuss. 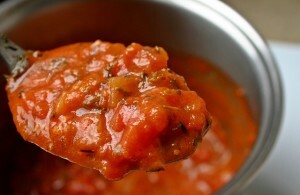 Best known as a pasta topper, the tomate sauce was originally an accompaniment of grilled meats and cooked vegetables. It’s made from a combination of pork belly, onions, bay leaves, thyme, crushed tomatoes, roux, garlic, salt, sugar, stock, and pepper. 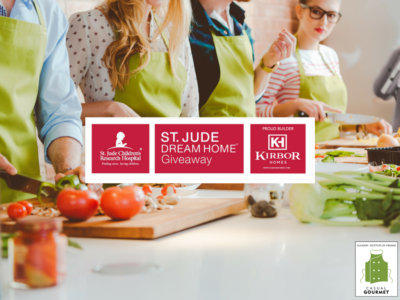 Want to Learn to Cook at Home? 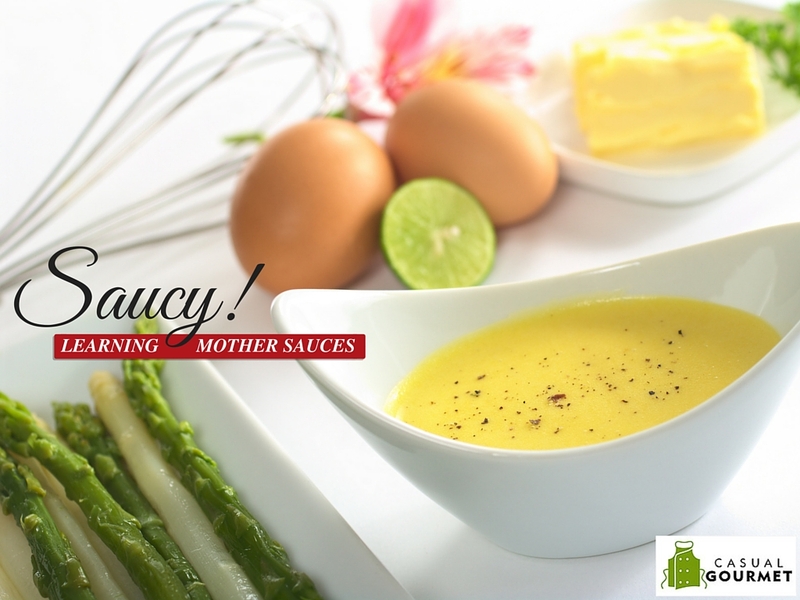 Of course you can whip up your very own Mother Sauces with this simple guide, but to truly perfect them, check out Casual Gourmet’s cooking courses. Casual Gourmet classes could help you become a domestic diva or a restauranteur extraordinaire. 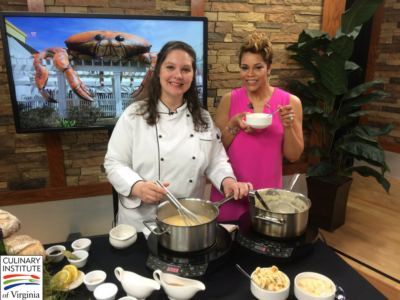 Discover your inner Julia Child or Jacques Pepin with courses at Casual Gourmet.